1. 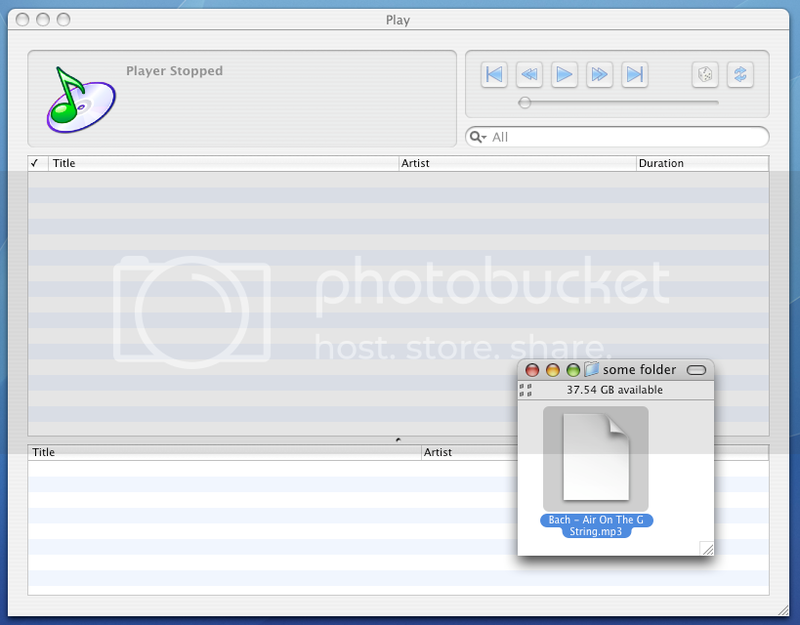 Drag and drop files/folder directly to the Play Queue from Finder. 2. Keep Play Queue entries through sessions. #1 is partly working today. Meaning I can drag and drop files to the Play Queue window (the green (+) icon show up), but the tracks will only be added to the Library. Last edited by krmathis on Thu Apr 26, 2007 4:11 pm, edited 1 time in total. If memory serves, both of these features are in r653, no?? Edit: Remain, are you certain you know the difference between the Play Queue and the Library? I did not know until last week..
As of now the files have to be added to the Library first, then later added to the Play Queue. Two steps before you can even play a track. You can keep play queue entries between sessions by turning on the 'Save on exit' option in the General prefs. It seems that dropping files on the Play Queue table works as expected (as illustrated by remain), while dropping of folders doesn't work the same way. I will figure out why! I've just checked in changes that allow folder dragging to the Play Queue table. Ah yes, I forgot I had checked "Save on exit" in Prefs. Suggestion: Turn this ON by default. I think most people would want things to "be the way they left it last time." 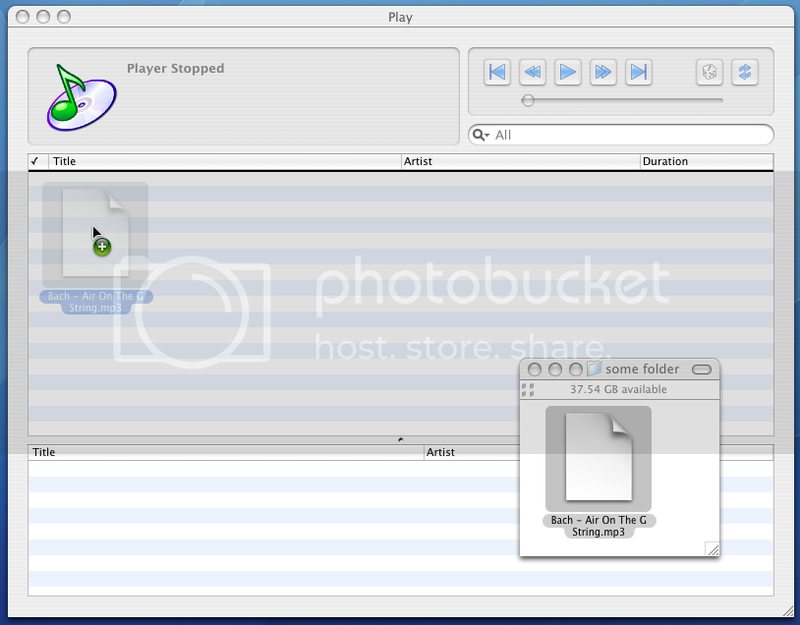 sbooth wrote: You can keep play queue entries between sessions by turning on the 'Save on exit' option in the General prefs. Actually I only tried with a folder, as thats what I usually add. Using revision 665 I am now able to drop folders directly into the Play Queue. So now I am able to use Play again... Thanks a lot!